Cable Hangers – FERRETERRO INDIA PVT. 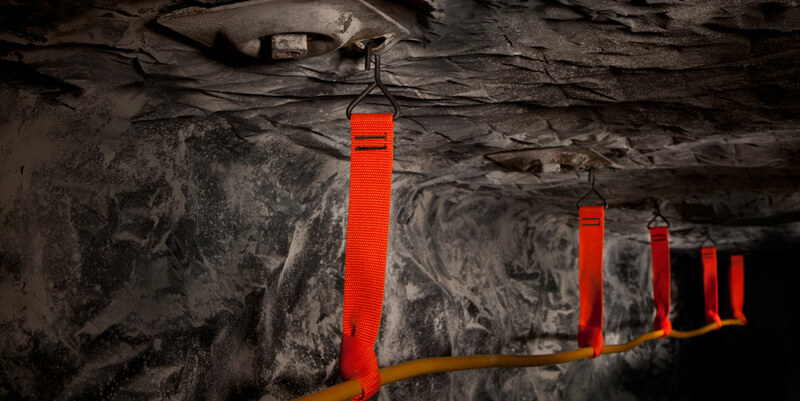 LTD.
Ferreterro Cable Hangers are designed to safely and securely hang feeder cable from the roof of the mine. Ferreterro Hangers can help to reduce interference and improve signal strength by adding spacing between steel mesh or roof structure and cable. 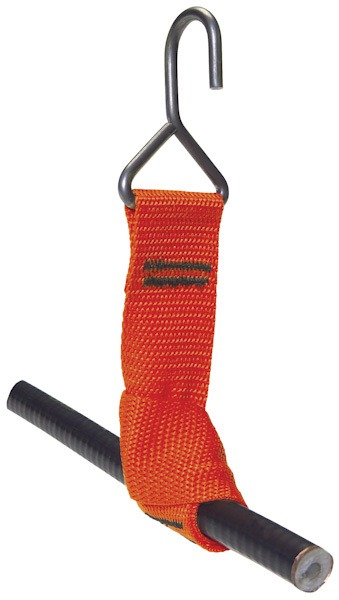 Made from durable 25 mm High tenacity polyester webbing with heavy duty top hook. Quick and easy to use. Webbing snugs down on cable to provide safe 25 mm wide surface area to hold cable firmly in position. 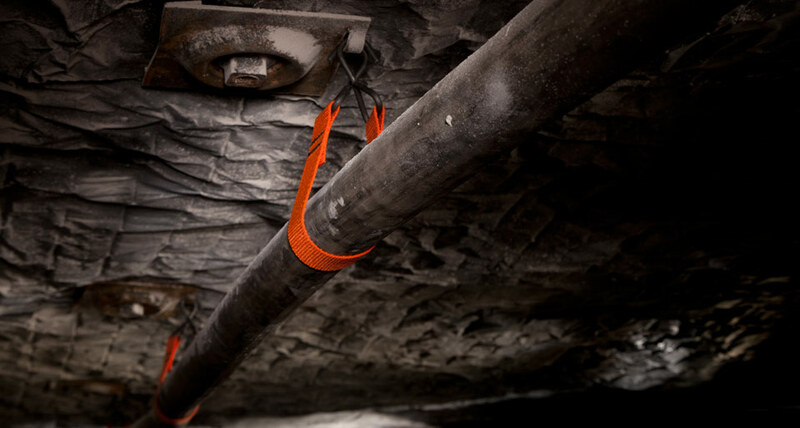 Webbing Hangers provide heavy-duty control of cables for superior safety. 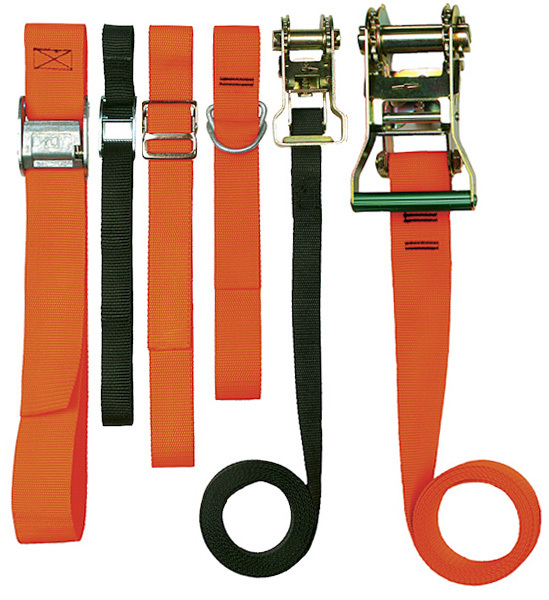 Belts made from black or orange webbing in three widths: 1”, 1-1/2” or 2” Choice of high quality corrosion resistant buckles in Double-D, Standard, Cam and Ratchet styles. Especially useful in longwall applications. Common sizes listed below. Custom sizes available.